The additional electric burner on the Supreme 3 Gas , 1 Electric cooker is just what you need for those days you run out of gas. Just plug into an electric socket and keep cooking. 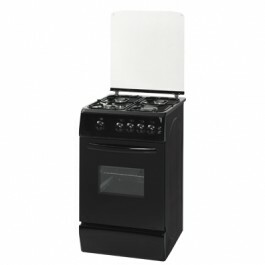 Double Enamel Coated Strong Pot Support The pot support on the Supreme 3 Gas + 1 Electric Cooker is double enamel coated to give you the assurance of stability as you cook and help you minimise spills and messes. Double Enamel Coated Burner Caps The burner caps on the Supreme 3 Gas + 1 Electric Cooker are double enamel coated to protect your cooker against rust and extend its functional life. .
Fast Cooking Electric Burner The Supreme 3 Gas + 1 Electric Cooker is fitted with a fast cooking electric burner to give you a back-up option if you run out of gas ensuring a continuous, undisturbed cooking experience.